In a highly competitive hospitality industry, you must do everything to attract new guests, and retain your old guests. These are two major aspects of your business when it comes to generating more bookings, and revenues. And in this, you need to have a well-planned hotel guest loyalty program to ensure that your property draws more guests. A hotel’s customer loyalty program must hold value as travelers are now being spoilt for choice. They are likely to change their choice of stay with the number of hotels around. Just remember one thing – repeat customers are profitable. To thrive in this competitive industry, a hotel’s loyalty program needs to be developed to forge a strong connection with new and existing travelers. 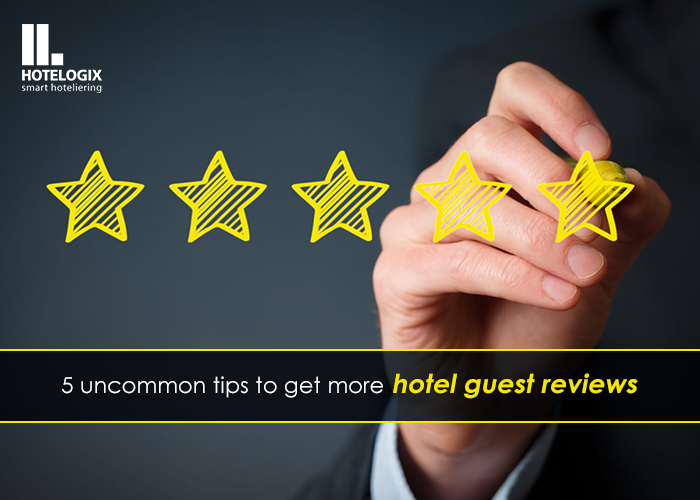 However, it takes more than just basic programs to boost your hotel bookings. A good hotel loyalty program will entice guests to choose your hotel for repeat visits. What can it do for your hotel? How to build an effective guest loyalty program? As hotel loyalty programs directly impact occupancy, here’s how you can build one successful. What would make guests feel special? They would indeed be delighted when you serve them knowing their likes and dislikes. A hotel’s guest loyalty program holds no value if you offer some discounts on a spa service for a business traveler. The corporate guest with a fixed purpose may not have time to use this service. You need to tailor your offerings based on guest data. A smart property management system helps you to collect and store guest data. This helps you analyze them to gain actionable insights. Flexible check-ins for the business traveler, discounts on in-store items, add-ons that are designed as per your guest’s preferences helps add more value to your guest loyalty program. Tip: You can use customer surveys to know what guests feel about the program. As an independent hotel owner, your hotel rewards program must ensure visitors are treated as privileged members. When returning guests are treated with special attention and exclusive treatment, the happiness levels are higher! Promotional offers or additional menu items catering to their needs shows you care for them. Tip: You can even devise exclusive offers for some privileged members that are not included in the regular hotel loyalty program. Often, guests lose interest in loyalty programs that bring no value and are difficult to use. What you need here is a simple hotel loyalty program that allows your guest to redeem offers and use the benefits with ease. The more complicated it gets, the sooner it will lose value. It must be easy-to-use sans all the fuss. Tip: Remember the thumb rule – keep it simple! If you have a hotel property at another location, add flexibility to your hotel loyalty program. Allow your guests to redeem offers at your other hotel locations if applicable. This gives them the opportunity to explore your products and experience your services. The addition of partner hotels will help increase your customer base in other markets. If you’re a small or mid-sized hotel owner, it’s an easy job to modify the program and get creative about what you have to offer! Just don’t force your guest to redeem loyalty points at your property. Allow them to use the same for a movie ticket or whatever a guest likes to buy. This works well. Tip: Use a diverse range of rewards so that repeat visitors can choose to redeem at various locations. A hotel’s loyalty program that lies unused is of no value to either sides. Wouldn’t it be great if you engage with your guest and interact to develop that strong connection? A simple one-click email that reminds about a promotional offer suitable for the guest lends a personal touch. Your guests need that occasional nudge in the right direction. So, don’t just create a loyalty program that lies untouched. Get out there, communicate and connect. Tip: Offer a reward for filling out a survey. Your loyalty program must embrace the latest technologies. Innovation is the key here to drive engagement for repeat visitors. For e.g. a easy booking process on your website is what the modern travelers seek at the time of booking. With guest data stored in a secure manner, it eliminates the need for entering information repeatedly. This builds trust along the way. Here’s another example – exclusive members can opt for mobile hotel apps that allow them to perform a variety of actions, self-check ins and more. They can check or redeem points within the app. Some hotels offer an online dashboard where guests can view account status details. Get these benefits for your loyalty card members. Tip: Allow loyalty program members access to special features on your mobile app. Use the power of social media to publicize the program. If you are looking for ways to increase hotel bookings, don’t forget to spread the word on your website or social media channels! Your hotel’s customer loyalty program must refocus on the priority of the customer while reinventing the experiences. You must embrace the use of smart technologies to create a loyal base of repeat guests leading to a stable occupancy in the long run. The article is originally published on ehotelier . "Guest loyalty programs to increase bookings", 5 out of 5 based on 1 ratings.